It pre-cleanses and nourishes your scalp with organic coconut oil, organic sunflower oil and organic olive oil, and prevents the signs of dry and flaky scalp. Two organic essential oils, rosemary and cedarwood, work synergistically with celery seed extract to clear up scalp and strengthen the hair shaft from root to tip. 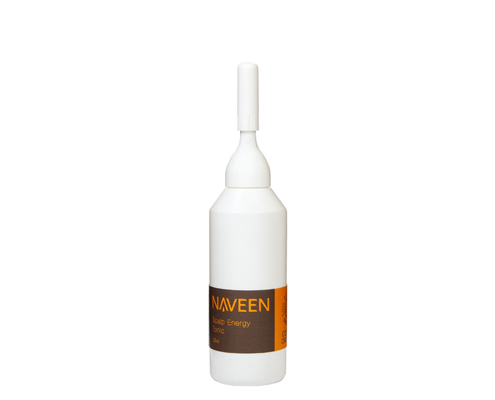 Perfect for color treated or permed hair, the NAVEEN Coconut Pre-Shampoo Treatment locks in and protects color while conditioning and moisturizing your hair. 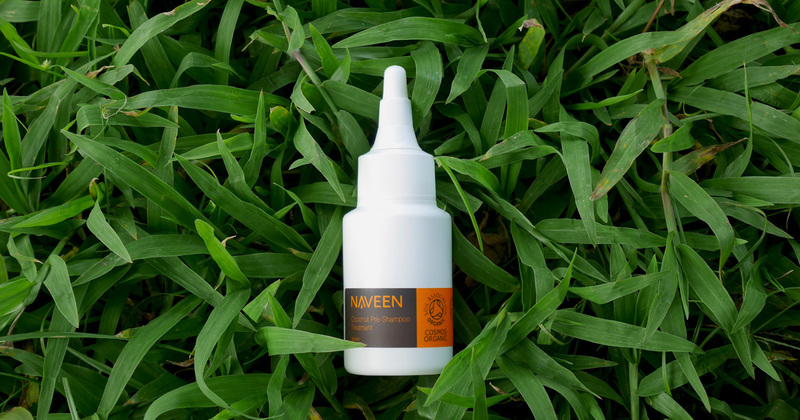 Apium graveolens seed extract: It is known as celery seed which keeps scalp hydrated and visibly reduces dandruff, while provides nourishment to the roots of hair strands and makes them healthy. 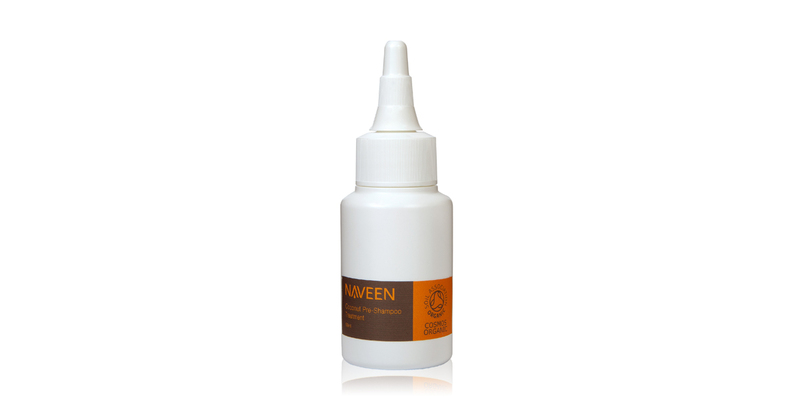 It is beneficial for soothing itchy scalp while effectively regulates sebum production for both oily and dry scalps. Organic Coconut oil: Coconut oil has both antifungal and antibacterial properties which work against dandruffs and keep scalp healthy. Other than that, coconut oil contains essential vitamins and nutrients which help to protect scalp from heat, prevent hair breakage while moisturize our scalp and hair. 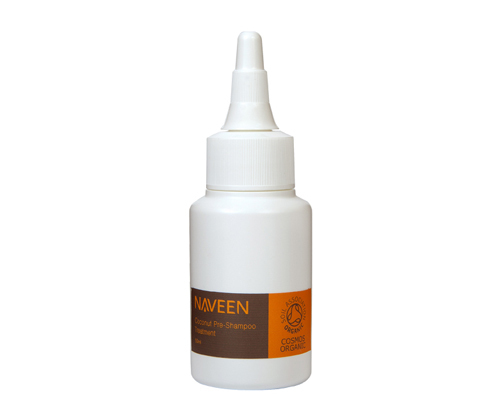 It nourishes the scalp for healthy hair and also prevent hair loss. Organic Olive oil: Olive oil is rich in vitamins which help protect the hair keratin, seal in moisture and leave the hair healthy and shiny. 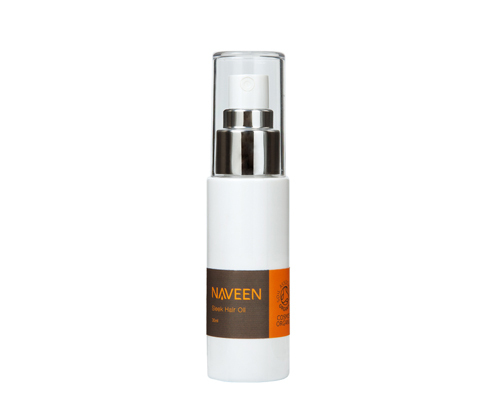 It also has softening effect for hair and makes it more pliable and manageable. Sunflower oil: Sunflower oil contains antioxidant properties responsible for preventing early hair loss ; it will keep it moist, keeping away from dry and scaly scalp. Tocopherol, Tocotrienol: The tocopherol and tocotrienols used in our products are 100% natural origin. The tocotrienols are even more potent in their anti-oxidation effect. They effectively protect scalp and hair from free radical damage, keep hair color longer and prevent oxidative damages from daily grooming. Organic Cedarwood oil and Rosemary oil: These two organic certified essential oils tone the scalp and stimulate circulation in the scalp to strengthen hair root and improve hair growth. Use before shampooing. Massage onto scalp and through hair, concentrating on damaged areas. Leave on for at least 15 minutes. Rinse hair and scalp and then shampoo as usual.